Great for Valentine's Day or any day when you want to show your favorite person how much you care! 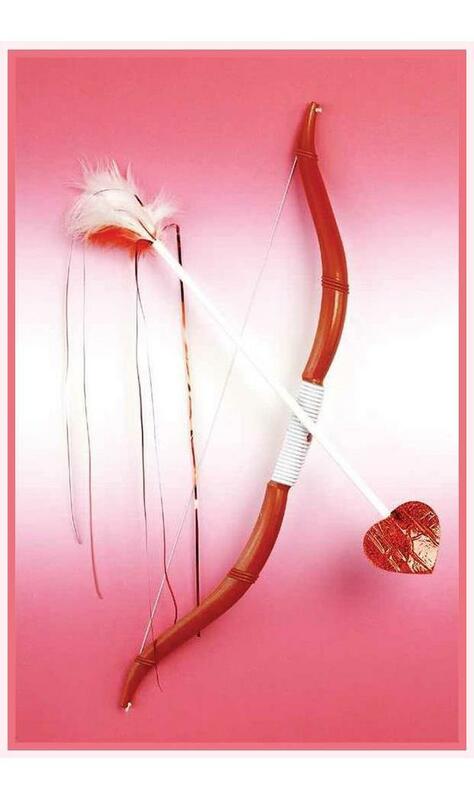 Cupid bow and arrow set includes red plastic 19"x3" bow with comfortable handle, 16" arrow with 3"x2" red glitter heart at tip of arrow and 4" feather like design on other end. 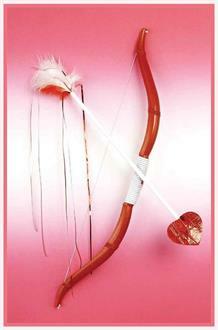 15" silver streamers at end of arrow adds extra flare when aiming for that special someone!